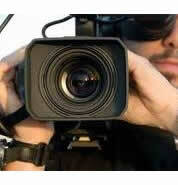 We are delighted to have motivating professionals from the field of filmmaking and acting skill. With supporting filmic Organization around world Jos, the location of the institute is a warm, welcoming city of film shoot entrance in Nigeria (1904) with serene weather and topography. We natures budding filmmakers and pave the landing to a successful career in filmmaking, opening limitless opportunities on the horizon of filmmaking. The training approach is very subjective and relaxed, which had credited the Institute as Centre of Excellence in Multimedia and Cinematography. The National Universities Commission has considered and approved an upward review of the admission quota of the National Film Institute Bachelor of Film Arts Degree to 150 from 40, which was the former quota. The approval was conveyed in a communication to the Institute by the Management of the Commission through its Director Academic Planning, Dr. G.B. KUMO on behalf of the Executive Secretary. The increment in the capacity and admission quota takes effect from the 2018/2019 academic sessions and is an indication of the expansion exercise of the management geared toward improving learning and infrastructure at the nation's premier film school. Qualified candidates for admission into Degree and Diploma programs for the 2018/2019 academic session should obtain admission/screening forms at the BURSARY of the Institute, No 7 Gbadamosi Close, British-American Junction, Jos, upon payment of 7,500.00 for the degree form and 5,000.00 for Diploma forms respectively through the REMITA platform. Admission forms can also be obtained at the various zonal offices of the Nigerian Film Corporation in Lagos, Abia, Kano and Abuja. Candidates who did not originally apply to the Institute but scored the approved JAMB cut off points for Diploma and Degree programs can also apply. 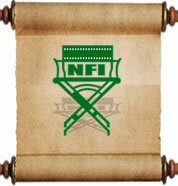 The Institute is designed to cater for filmmakers and intending filmmakers in Nigeria and abroad. With courses modified for intensive theoretical and practical needs of students, the Institute offer tailor-made courses to meet the needs of professionals as well as novices who want to pursue a career in filmmaking. All programmes are on full time basis, for professionals, however, a short-term course is designed for them to suit their needs. The cost of training in film making is very high worldwide but considerable efforts have been made to see that students enjoy training at appreciable cost. Every student gets the opportunity to directly or indirectly participate in a production workshop a regiment for practical experience before the end of the academic session. Students also undertake SIWES (Student Industrial Work Experience Scheme) from 3 to 6months which expose them to work with, and under professionals in the industry. .